It’s the most wonderful and most activity packed time of the year! A gloriously simple supper of rich soup is an ideal weeknight meal solution. 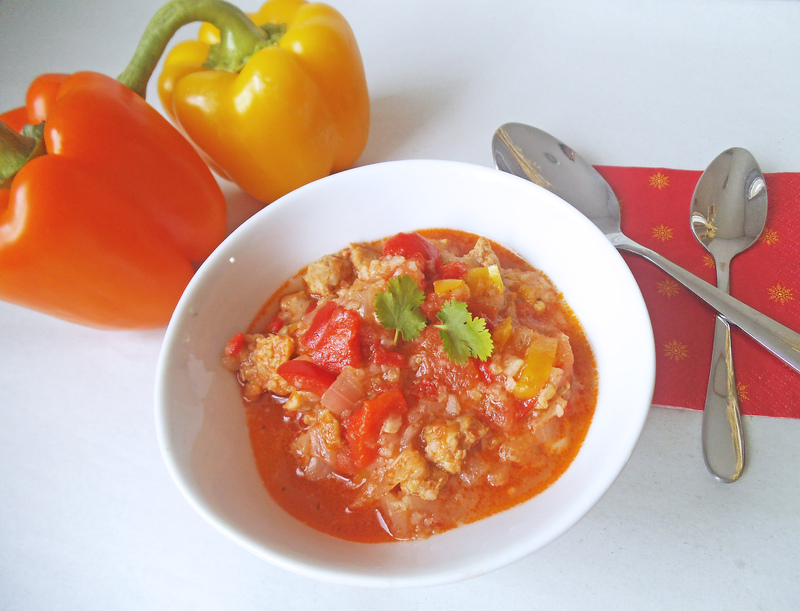 My friend Jessica shared this this delicious stuffed pepper soup with me, and I know your family will love it too! It is great to have a hearty homemade soup that comes together in less than an hour, with most of that time being hands-off while it simmers. You can also tossed the browned meat in your slow cooker, along with the other ingredients, and let it cook on low while you are out for the day. Enjoy! Saute onion, celery, garlic, and peppers in a small amount of olive oil. Add tomatoes and simmer for 10 minutes. Add cooked sausage or meat and continue to simmer for another 20 minutes. Add cooked rice and salt and pepper to taste. Continue simmering on low until ready to serve. I like sharing recipes at Traditional Tuesdays, Pennywise Platter, and more. I love bell pepper soup! This looks delicious! The best kind of comfort food. Thanks! I hope you are enjoying the holidays too. I love stuffed peppers, but my husband won’t even try them. I’ll have to give this recipe a try, and see what he thinks! Thanks for sharing at Saturday Dishes! You should! 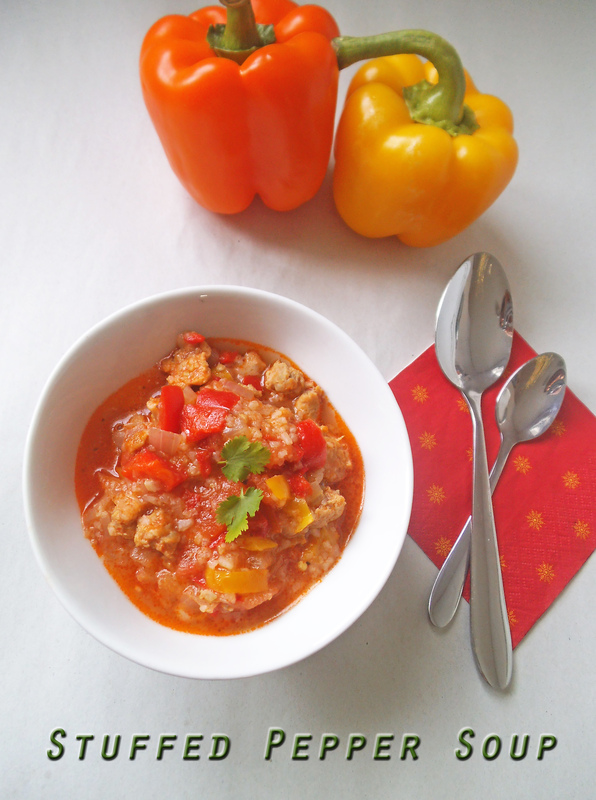 When I turned cabbage rolls into soup a while back, my family liked the soup much better.